RUSH: We’re gonna go to Allentown, Pennsylvania, which we own, along with Harrisburg. This is Allen. Great to have you on the program, sir. Hello. 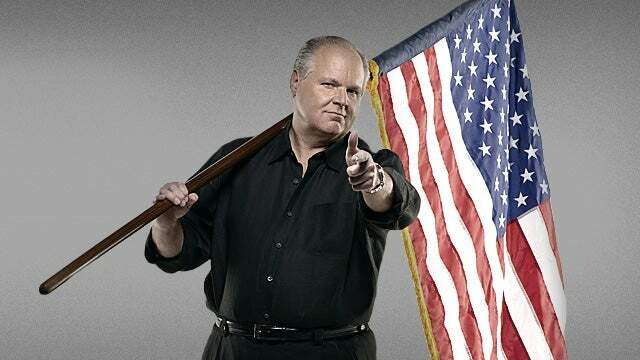 RUSH: Let me ask you a question out there. Do you think Trump, ’cause I saw Paul Sperry, who is a writer that we quote here now and then, Paul Sperry I think tweeted something, and he thinks Trump has made a potentially grievous error by not calling a national address from the Oval Office when it was clear that the investigation found no collusion and no obstruction. He thinks that Trump should have called a national address and explained all this to the American people, explained the results of the investigation that no such thing was like found and now we’re moving forward with lightning speed to advance the Trump agenda and so forth. Do you think he should have done that? CALLER: No, I don’t. I think people would have just accepted that as crowing. And they don’t want to hear that. And if I may, I’d like to give a shout-out to my wife, Rhonda, who’s sitting on her G6 at Midway. CALLER: She’s a flight attendant on a G6. RUSH: Your wife flies a G650? CALLER: Yeah. She’s a flight attendant on it. RUSH: That is a very great gig to have. That’s a fabulous plane. I’m sure she loves it. CALLER: Yeah. Two of my sons are pilots and I’m an ex-United pilot. Retired. RUSH: Congratulations. Before you go, you’re telling me that people are fed up hearing about this and it’s time to drop it. Does that include me? CALLER: Yeah, I think there’s other things you might want to move on to because all of us have heard this a lot. And believe me, we appreciate it, but there just gets to be a point where it’s just overload. My focus is to get people to understand what was really attempted here: An overthrow of the United States government just because a bunch of unelected elites in the Obama administration didn’t like the result and what they did and how they did it, and the fact that it is still ongoing out there, Allen. It isn’t over. So my thrust is to continue to tell people what the Democrats are doing. I don’t think we can overdo that. The Drive-By Media’s not telling this story in any way, shape, manner, or form. Now, I know you in this audience are among the most informed people in this country. And I had a guy call last week, he’s the guy that asked me how I expanded my vocabulary, how did I do that since I didn’t go to college. So I answered his question, and then he said, “The one thing I observe is you never talk down to your audience. You’re always talking up to them.” Now, what he means is that he never hears me insulting you or acting like you’re dumb and don’t get things. It’s just the exact opposite. The way I see all of you is I assume that you are as smart as I am or anybody else and that you are capable of learning and absorbing information that I might have that you don’t. And so I present it to you in a way that assumes your ability to understand it. ‘Cause I do not talk down. I do not think that you are incapable of understanding or any of that. That’s why I go over it a number of times ’cause I have learned that repetition is required for absorption. I sit here and I wonder sometimes, okay, should I move on? I ask myself should I move on, have I made this point enough that people get it? In this circumstance, I actually don’t think enough people really understand what happened here and what is continuing to happen. 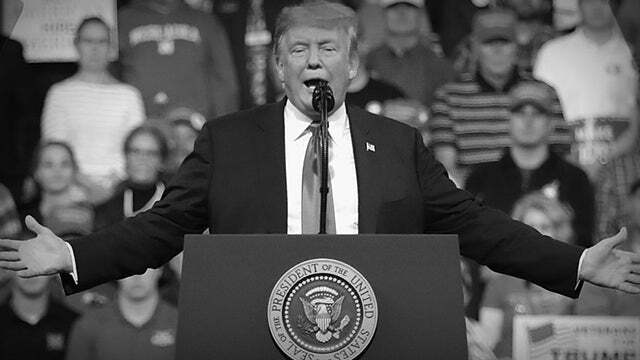 And I’m telling you, folks, there are people on our side in the media who still don’t get it, who still think that this was a legitimate investigation, that it was called for and that it was must and that it had to be, because there was real suspicion and possibility Trump had colluded. Nothing could be further from the truth! Do you realize that we don’t even know for certain when this so-called investigation began because the FBI will not release the documents? This is one of the things, when you hear Trump declassifying everything, one of the elements that we’re gonna learn is when did this actually begin? Devin Nunes is responsible for so much of what we know because of his own investigation into these documents, but they are classified and can’t be released until the president does it. And the president hasn’t released them because he was told that if he did, it would possibly play into the allegation that he was obstructing justice. But now that the report’s in and that the summary is in that it would be okay. But then there are people in the U.K. that don’t want these documents made public because it might make them look bad because they helped the FBI carry out the hoax! But I’m telling you, Allen, I can’t tell you how frustrating it is when I talk to people on our side who think they’re journalists who haven’t the slightest idea yet what happened here because they believe half of what they see in the New York Times ’cause it’s the New York Times. Or they believe half of what some FBI spokesman says because he’s an FBI spokesman. They respect the authority. I can’t tell you how frustrating it is. So that’s why I keep hammering it. I’m sensitive to the idea that it can sound like old news to some of you, but please understand that the reason for the ongoing discussion of this is ’cause I think it’s maybe the most dangerous precipice this country’s been taken to internally, certainly in my lifetime. 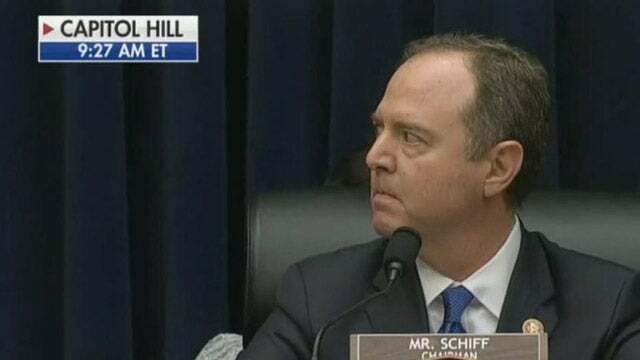 I just ask you to stop and think, like I did in the last hour, where would we be right now if these people had lied in this report and said that Trump had colluded or that there was reason to think, we can’t be certain, but there’s reason to think? I ask you to ponder what every day in this country would have been since. RUSH: This is Scott in Chicago. Great to have you, Scott, on The Big 89, WLS. Welcome, sir. CALLER: Thank you, Rush. Listen, I’m calling for MAGA country underground here in Chicago. It’s not easy. Listen, the Barr report’s four pages long, and it’s not enough, right? 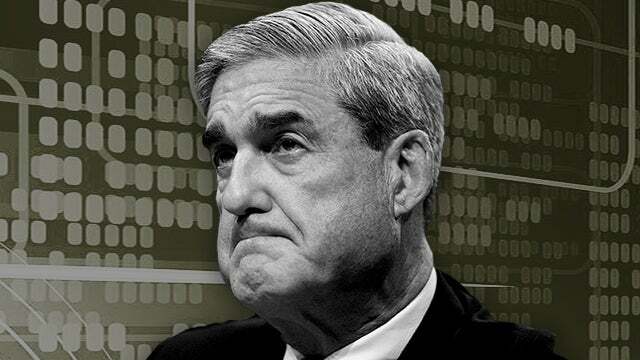 The 400 pages, 300 pages of the Mueller report will be not enough. So they want the source materials, because clearly Adam Schiff along with this stuff would be able to come to a different conclusion than what Mr. Mueller and the 16 other attorneys put together, and it’ll just continue on. We’ve gotten two and a half years out of this dossier. I mean, imagine all the material that they can use to get through the election and throw stuff up against a wall and finally try and get rid of him. 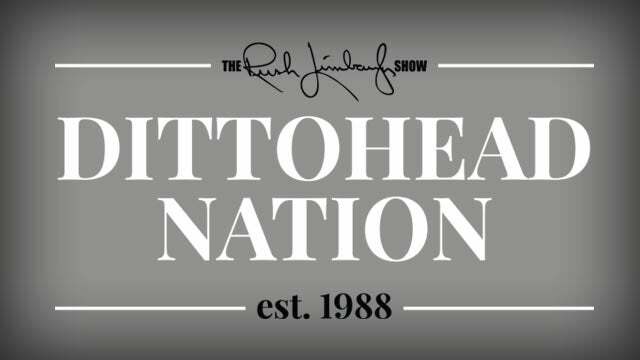 RUSH: He’s exactly right, folks. It’s never gonna end. No matter what information they demand, even if provided, no matter what information they get, it’s never going to be enough. We can’t even come to an understanding as a nation of the role the dossier played in all this. “The dossier wasn’t all they had.” Well, but it turns out it really was. And the dossier was a pack of lies, and it was all made up. The Democrats don’t want any more of that. They’re not asking, well, “Is there anything else in the dossier that didn’t make it, what else did Steele maybe not put in?” They’re not going near the dossier. We can’t even come to an agreement on when the investigation started. There wasn’t an investigation! There was something made to look like an investigation. But all there ever was was an effort to get rid of Trump. There was an effort to deny him the election and then to foul up his transition and then to sabotage his presidency. An investigation based on something that never was, evidence that he had colluded with Russia. RUSH: Rose in Visalia, California, you’re next. Welcome to the EIB Network. Hello. CALLER: Thank you, sir. What your previous caller was saying, that we want to be done with this ’cause we’re so stick of this Mueller stuff and it’s been going on forever. Yeah, we’re sick of that part of it, but now we want real justice to start and use our tax dollars for real justice. No, we don’t want these people to go unaccountable. Like they’re out right now on – it makes me sick — these guys are out there on book tours and interviews and making all this money, becoming rich and famous off this, all these crooks. And they need to be held accountable. And I think most Americans would be willing to use our tax dollars to pay to see that this does not go unnoticed. That these people pay for what they’ve done. And that’s been the rule of Washington for as long as I’ve been alive. Democrats get to take any shot at you they want. When they fail, you’re to forget it and get ready for the next one. But you’re certainly not supposed to call attention to it. You are not supposed to detail what happened. You are not to seek retribution. Just forget it. Well, the problem here is it isn’t over, and the Democrats aren’t forgetting it. They are by no means considering this over. They want Trump to think that it is, and they want him to act this way. Karl Rove had a column last week advising Trump: Look, stop gloating about this and stop being angry about it. Just move on or you’re gonna irritate the independents. Well, the polling data in four different polls that we’ve shared you with you today indicate the independents are on board with this thing, and they understand fully what happened, and they’re not happy about it. But I don’t think it’s gonna be over until the American people understand what happened here. I fully support the American people being given all the information on what happened. Right now there’s no mechanism to do it. Because there hasn’t been a, quote, unquote, investigation into it. And I don’t want another two-year open-ended investigation, and the thing about Washington is that once these investigations start, they can go that long and you never hear a thing about them again. Anyway, I appreciate the call. Thanks much.